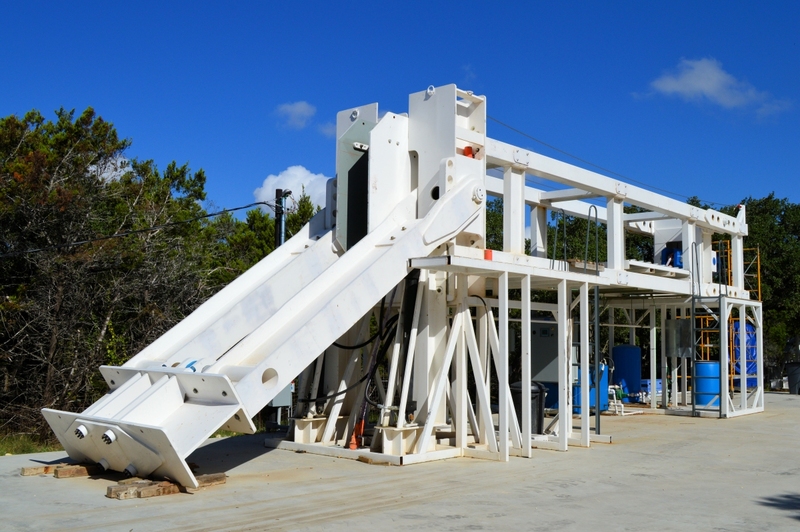 Conduct qualification test programs, develop hull test procedures, and install, fit-up, and test the hatches for the US Navy Pressurized Rescue Module System (PRMS) for Submarine Rescue. 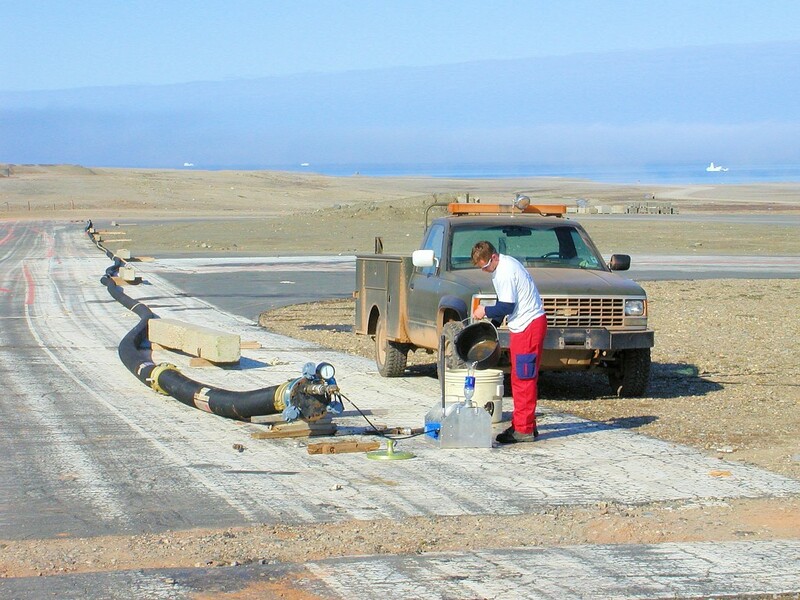 Assemble and test the ship-to-shore Fuel Transfer System at Thule Air Base, Greenland. ETA also prepared the Operations and Maintenance Manual for the system. 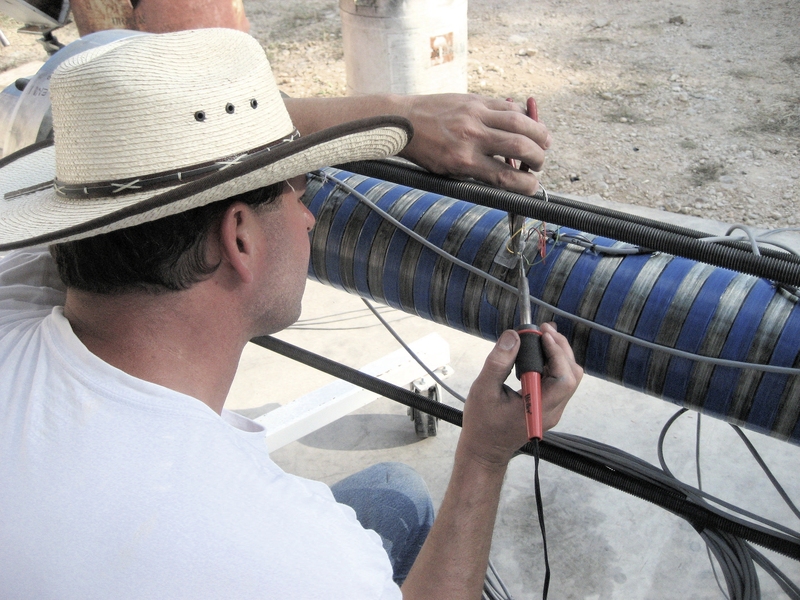 Install strain gages on fiberglass substrate and monitor 72 channels during bend test. Design and fabricate bending and tension test rig and conduct tests IAW API Specification 17J and RP17B. 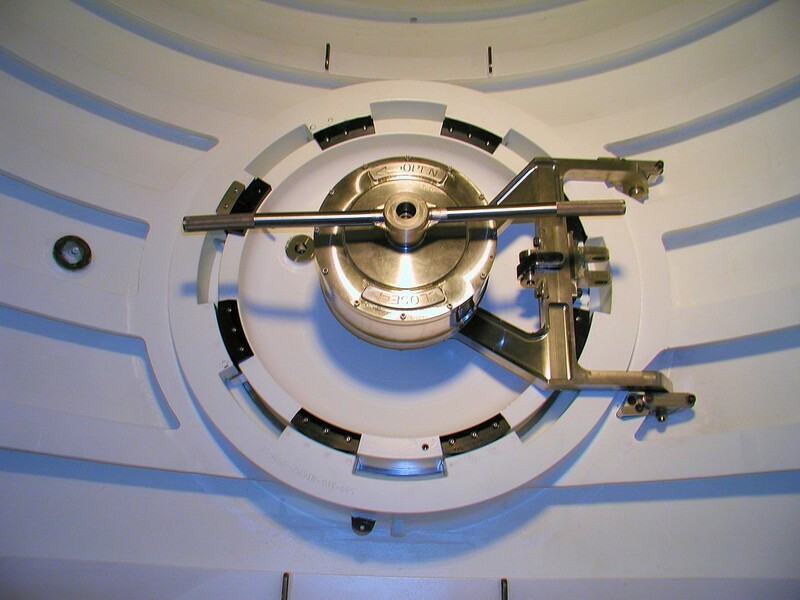 Conduct bending stiffness tests with real-time monitoring of stiffness, radius, and internal pressure. Offshore Angola – Engineering support of installation of tether buoy system using the Normand Master AHV in 2000 FSW. ETA also did the OrcaFlex® analysis of the buoy system and prepared the installation procedure and story boards. Front End Engineering Design of flexible riser for CALM buoy system – REPSOL Aurora project. 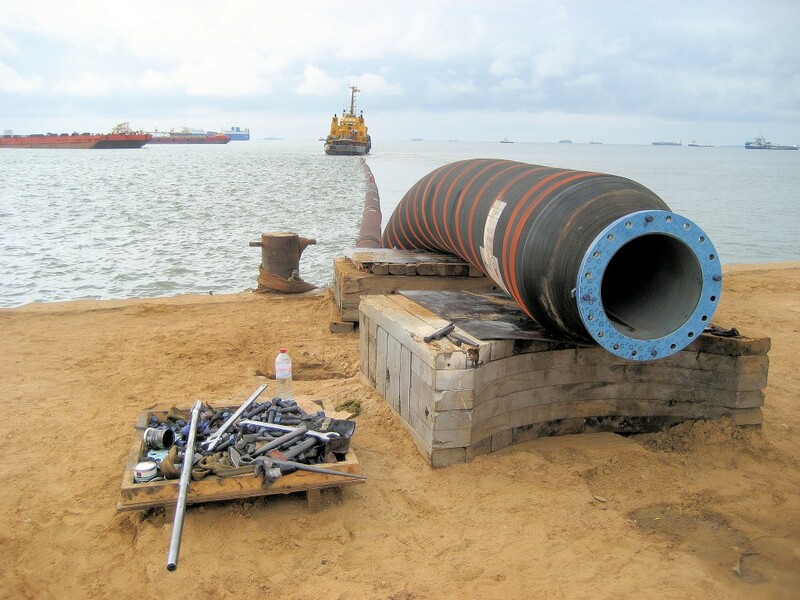 Design and analyze floating spool piece for the offtake hose connection – MODEC Cuulong FPSO. 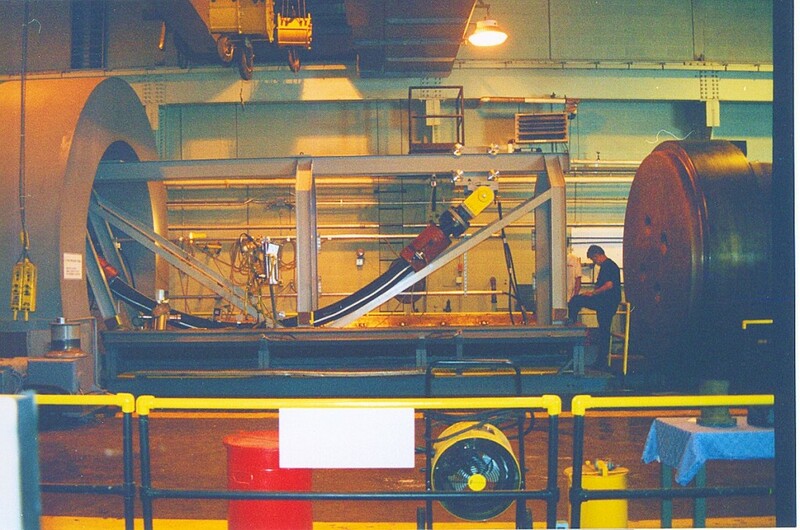 Design remote-operated bending rig for bird caging studies in the A-Tank Pressure Vessel (at Annapolis) for Wellstream. 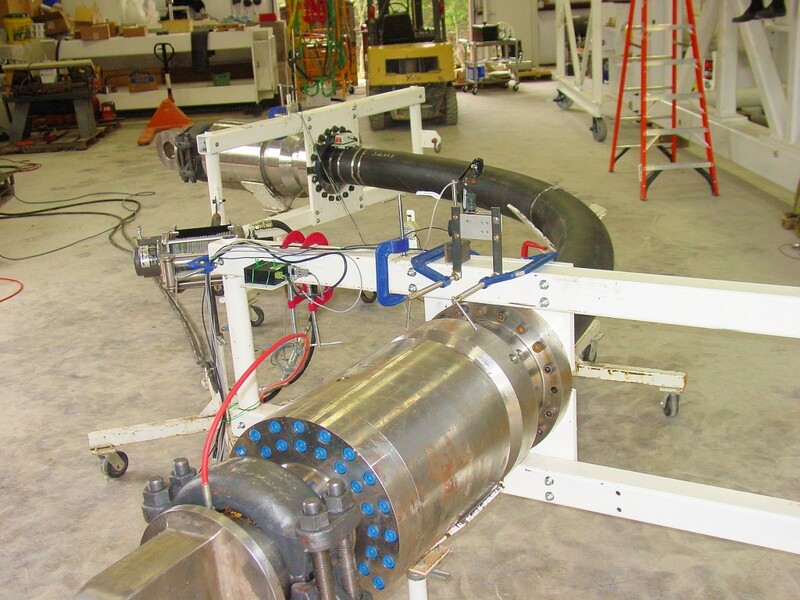 Design, build, and operate Dynamic Test Rig for a Flexible Pipe manufacturer. 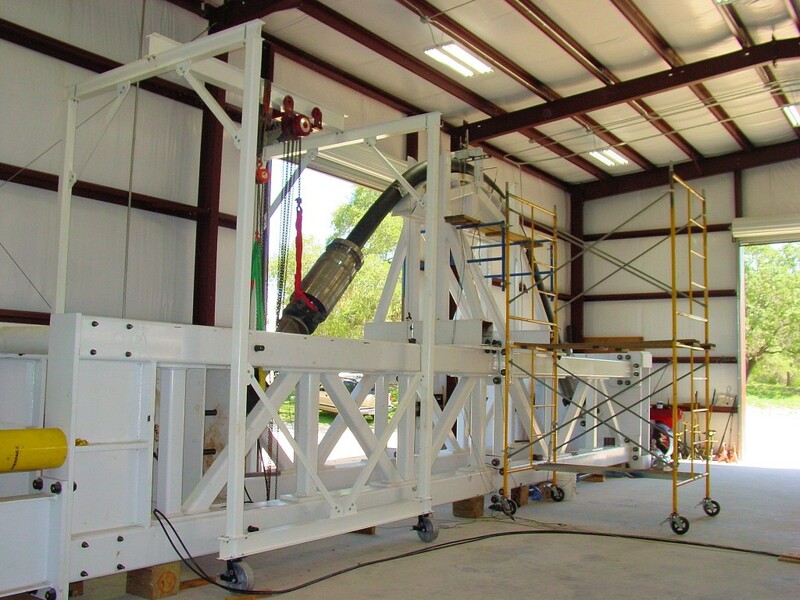 Rig accommodates test samples up to 40 feet long and can apply 455 kips tension and 50,000 ft-lbs bending moment. Range of motion on the rocker end is +/- 30 degrees.